When trying to overcome an addiction to drugs and/or alcohol, having professional support can guarantee an effective and speedy recovery. Thankfully, there are many available local alcohol treatment centers Tampa that can provide that expertise, especially WhiteSands Treatment. If you are in the Tampa area, and you have been searching for “drug and alcohol rehab near me” online, you have probably found a large number of facilities that provide guidance and support through diverse rehabilitation treatment programs. Whether your case calls for alcohol inpatient rehab, or you use the more-flexible-services of an outpatient facility, you can rest assure that WhiteSands Treatment will offer a personalized approach to treat your addiction. Local alcohol treatment centers Tampa, such as WhiteSands Treatment, offers high-quality services, with around-the-clock care and the expertise of medical professionals and addiction specialists that can treat you from the very first day. Starting with an intake interview, facilities that offer alcohol inpatient rehab will often offer in-house detoxification processes. This means that you will be able to detox and continue your rehabilitation treatment under one roof. This is often necessary for cases of extreme dependence or a long-term addiction. Alcohol inpatient rehab offers 24/7 medical supervision and care, which is of extreme importance, especially during withdrawal. 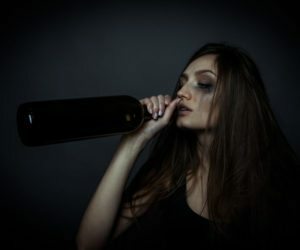 Withdrawal symptoms from alcohol can be quite dangerous if mishandled. They can go from mild to severe in a matter of minutes, and without the proper care and guidance, a person can incur in serious health risks, including cardiac arrest, stroke, organ failure, etc. This is why an alcohol inpatient rehab at WhiteSands Treatment is the best option for those that have been struggling for longer periods of time, and who will – more likely than not – experience heavier withdrawal symptoms. Another factor you may have learned when you searched for “drug and alcohol rehab near me” is that many facilities also provide group sessions, 12-steps programs, goal-oriented therapy and even family therapy. This is because, the local alcohol treatment centers Tampa and drug rehab facilities, try to use a wide number of therapeutic methodologies, to ensure that every aspect of your addiction is tackled. Implementing these methodologies also guarantees that you identify, understand and address the emotional and psychological issues behind your addiction, and those issues that may have contributed to your substance abuse issue or may have been triggered in the past. In addition to these services, when searching “drug and alcohol rehab near me” you may also find references to holistic activities. These holistic methods such as equine therapy, art therapy, music therapy, yoga, and meditation, outdoor exercises, etc – are supplemental to the traditional methodologies used by local alcohol treatment centers Tampa and drug rehab facilities. When you adopt any of these modalities, you start developing healthier habits that take part of your new routine. They serve to prevent relapse whenever old triggers may temp you into falling off the wagon. By focusing on these new activities, you focus on your own well-being and work towards maintaining your sobriety in the long term. Finally, these rehab facilities will also help you design and develop your continuous care plan before you finish your treatment. The aftercare scheme is a guideline of sorts; is a compilation of new habits, tools, resources, group sessions, counselors and close family members that you rely on whenever you need a safe haven to vent, gather strength and support to continue your journey, prevent relapse by refocusing on you and those who have your back. The aftercare plan is the backbone of your recovery and a place that you can always come back to, no matter what. Contact WhiteSands Treatment today to learn more about your addiction recovery options at (877) 855-3470.